A layer of comfort and protection on the green or anywhere the sun is out in full force. This special Dri-FIT fabric wicks perspiration away from the skin while shielding it from ultraviolet rays with built-in 30 UPF protection. Design features include a rib-knit collar and contrast Swoosh design trademark embroidered on the left sleeve. 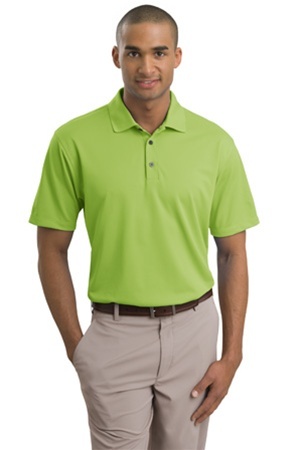 Features a three-button placket and hemmed sleeves. Made of 5.3-ounce, 100% polyester. Pearlized buttons are selected to complement the shirt color.